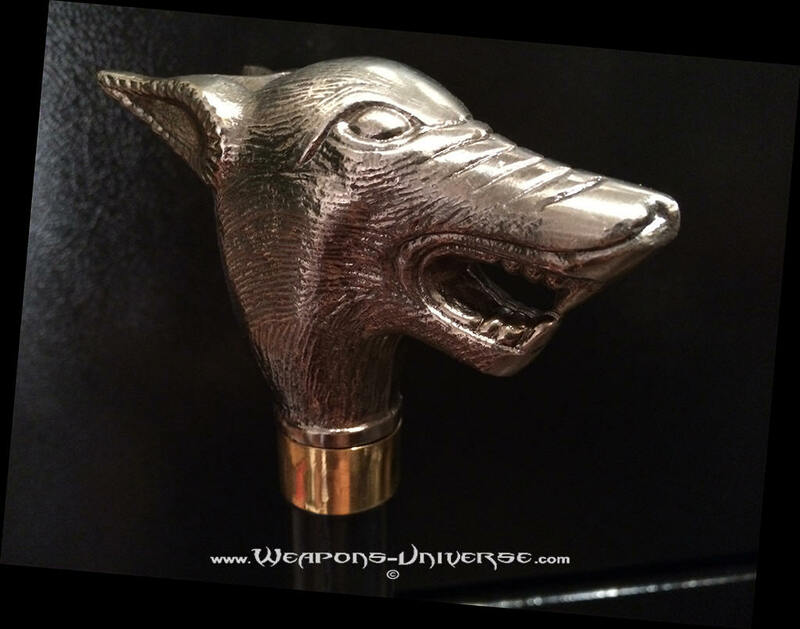 Wolf Cane. 34" overall. Unscrew handle to reveal 15 1/2" stainless blade. 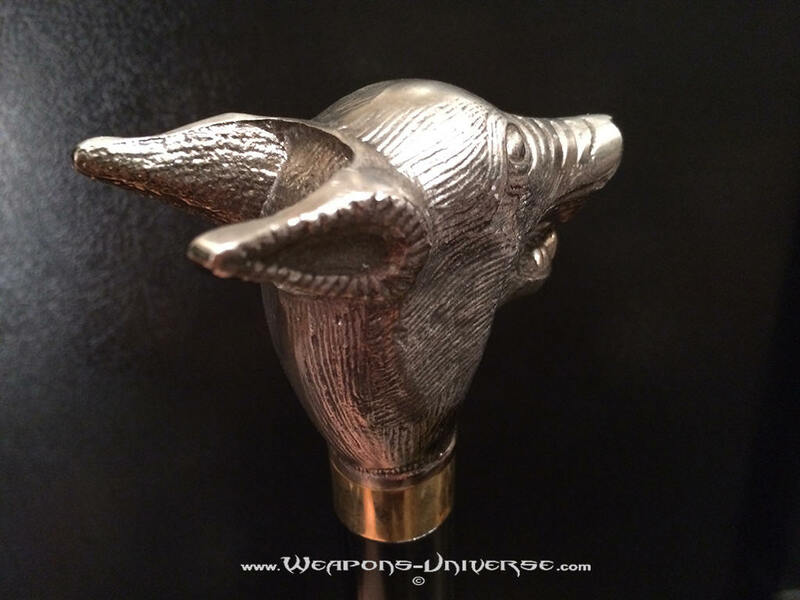 Antique silver finish cast metal handle. Black finish aluminum cane with rubber tip.